21005-24506 Giant leaf insect (Phyllium giganteum) female resting on leaf. 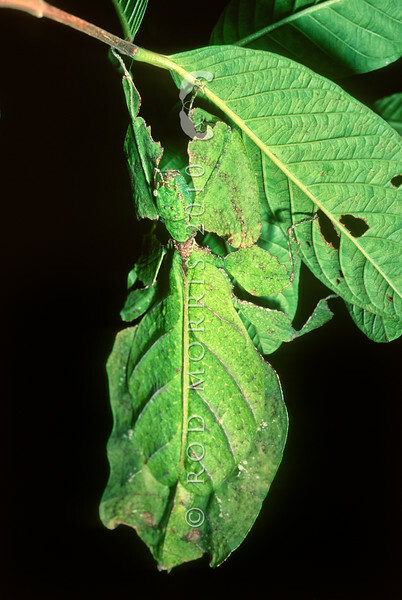 These giant phasmids have a leaf-like appearance. No males are known to exist. Females have large leathery forewings (tegmina) that lie edge to edge on the abdomen and resemble, in their vein pattern, the midrib and veins in a leaf, however the insects are flightless and the hindwings have no function. Kuala Lumpur Malaysia.